Southern Pacific took over a narrow gauge line, fondly called the "Slim Princess" that ran from Nevada to the California High Desert and operated it until 1960 when it was abandoned. 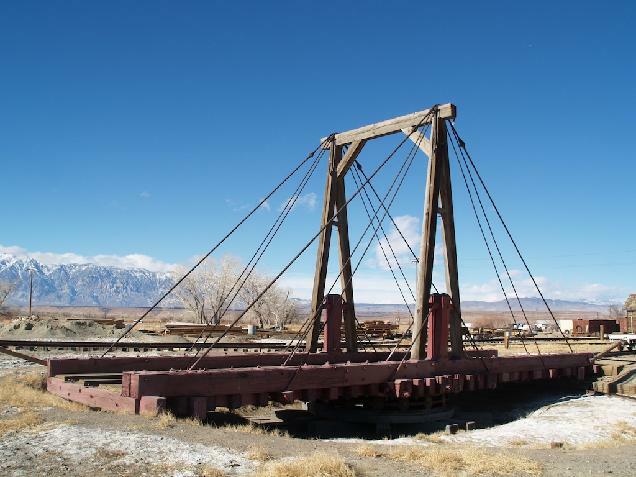 A lot of the history has been preserved at the Laws Railroad Museum just outside of Bishop, California. Bishop, located in Eastern California, is a nice town to visit, having a lot of good restaurants, interesting sights and spectacular vistas of the surrounding mountains. I took the family there for a vacation and of course we made a side trip to Laws to see what was new at the railroad museum. 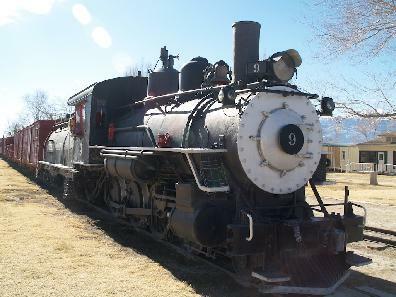 The museum is located at the old Laws train depot. 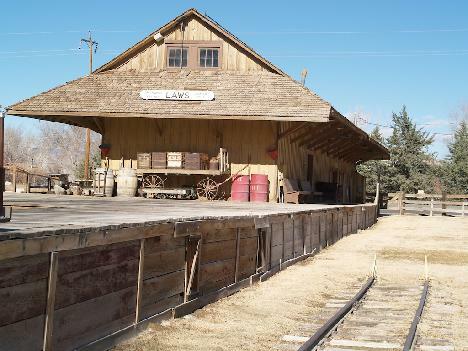 A large number of historic buildings have been moved there and contain exhibits that illustrate life in the Old West around the turn of the century. The grounds have a large number of old vehicles and ranching memorabilia to look at. This area has a feel of the Old West - it could easily be mistaken for Wyoming or Montana. A little known fact is that many hundreds of Hollywood westerns were actually shot here in Owens Valley rather than in the states the story takes place in. The area has also stood in for parts of Africa, Pakistan and most recently Afghanistan in the movie Iron Man. A number of movies featured the railroad before it was abandoned. I know all of this because I also visited the film museum in Lone Pine, about 60 miles south of Bishop. End of the line at the museum. 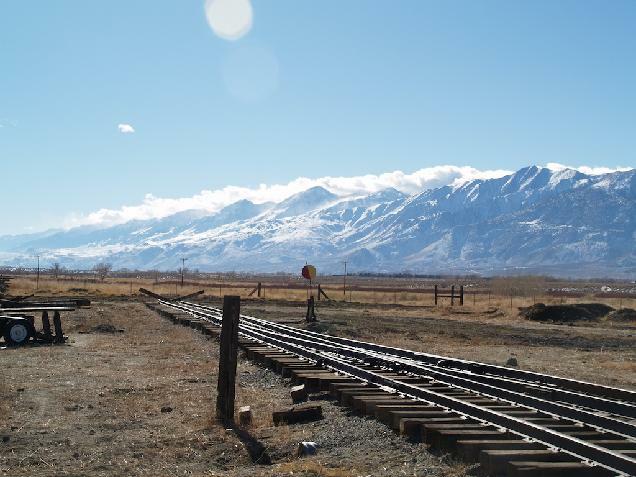 The old railroad grade is still visible south of here following the mountains to the South. It was a spectacular ride! The turntable is still operational. It ran on muscle power. 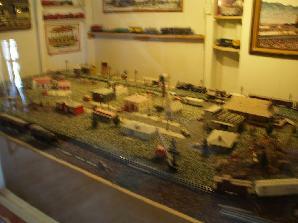 There are two model railroads in the depot. I didn't have a tripod and the light was dim so these aren't very good photos. 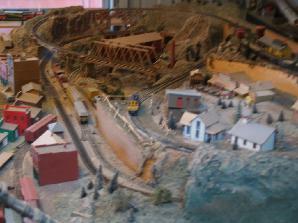 My daughter looked at this layout and said "Daddy, your railroad is much nicer". Bless her!